this car though... I love it! Wrong. RHD vehicles are legal in the US and this vehicle is old enough to be legally imported, as are r32 and r33 skylines. That and your argument has nothing to do with them making a LHD USDM version. What are you talking about? we have even more accepting rules In Canada, whereas In the US a car has to be 25 years of age to obtain "classic" designation so it can be legally imported, where in Canada its only 15 years, or at least that's the basics anyways. Its why you can import R34 skylines now to Canada but The US has to wait ten more years. , as are r32 and r33 skylines. R32 Skylines produced from 1989 to 1991 are legal to import over here(according to that lame law made by Mercedes-Benz), but any 1992-1994 R32 and all R33s and R34s are illegal to import over here. But who knows, maybe the law HAS been abolished? After all, there are quite a few R34 Skylines that are registered on the East Coast. There was a petition to revoke the 25 year law for importing the R33 and R34s a little while back, but I don't think it was "good enough". The law is still in action. And the R34s you see here in the east coast are usually imported under the title of a professional race car, or something along those lines. Edit: Man this is really off topic. Man I love this car. Have to admit I originally wasn't a big fan of the frontal styling, but its really grown on me and I love it! Definitely one of, if not my favourite, car in the game. For importing a JDM in the US, car need to have 25 years, In Canada is 15 years, but in Quebec since 2011, it's now 25 years like the US. I know, i'm a owner of a Skyline gtr R32 in Quebec and i know a guy who own a old 1970 skyline in Alberta. IMO they won't ever remove that law, it's the only thing protecting the american car industry at this point. Ah that makes sense about Quebec. That 1970 skyline sounds nice, I would love to drive one of those. I don't think the industry would suffer that much, at least for utility and economy vehicles. The type of people/industry to buy an american vehicle, specifically trucks or any "fleet" vehicle would rather be caught stealing before buying a non-domestic vehicle. Also remember the average citizen doesn't know or care much about vehicles like we do, so most wouldn't bother importing anything. Furthermore most of the people to buy an import car, if the rule was abolished, wouldn't have bought an american vehicle anyways. I do agree with what you are saying on why the rule wont be abolished, as that's exactly how the big companies would defend themselves in court against such a rule, and it would work. This is so damn off-topic. The sad part is, it was never to protect the domestic auto industry. It was to protect foreign luxury manufacturers (most infamously Mercedes-Benz) from the gray imports that were cutting into their business far more than they'd expected. Rather than telling Mercedes "this is exactly how Detroit felt when you guys showed up, now go tell someone who cares", congress caved to the lobbying and unintentionally locked out many enthusiast cars that hadn't been built yet. Unfortunately, unlike a lot of obnoxious laws, this can't even be railed against as unconstitutional; the government has every right to restrict the importation of goods. The most sickening part is that (as far as I know) Mercedes themselves had already, at that point, taken advantage of the gray market to "test the waters" with, I think, the 560SEC - and they have done so since, as well, with the Smart Fortwo. Just one more instance of a U.S. law that hoses the little guy for the benefit of an enormous corporation. Granted, this car won't make you unconscious when accelerating, but it's lightweight and handles rather swift, even though it does tend to be a little snappy. Agreed. When the Miramar first came out, I just thought, "Oh, it's only got 84 hp, and even the race version has only 170 hp. No turbo options, no 6-speed race transmissions, and it's got no AWD? Really?" But the Miramar doesn't need a stinking tuner turbo, no 6-speed+ transmissions, no AWD, nothing more than what the race version has. This car is just about one of the fastest cars around VR City, and although other cars have a lot more power, they also have a lot more weight(the Miramar weighs about as much as a Covet). It drifts so well when just gently swung into a 90-degree bend, and who gives a darn about 133 mph when you got more cornering capability than a 200BX? 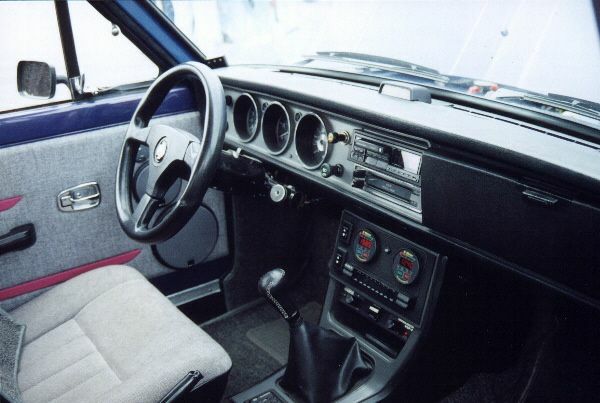 Unlike that 200BX, though, the Miramar also is a lot of fun with a little horsepower. All in all, just about one of the greatest BeamNG.drive cars in the game as of right now, and an amazing learner's car(if a bit tricky to get sliding). 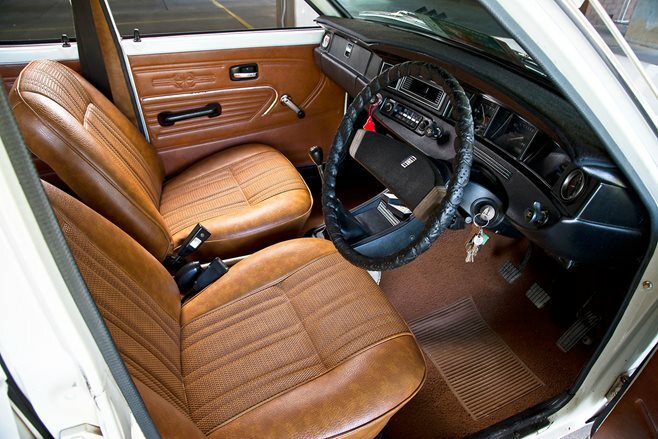 Most japanese cars of the time didn't use bench seats. None of them use bench seats. @ktheminecraftfan could be referring to this type of bench seat, which was as common as Coca-Cola for vehicles of the 1960s. That is true for american vehicles, but the Miramar is a JDM car. But if it's a JDM car, then why does @ktheminecraftfan even want bench seats? That is highly illogical for a 1960s Japanese car.